This helmet is great, it fits good and is very comfortable, Its not too bulky either, I see others seem to say that it gets hot, but I've rode wit it on for 2 hours + and have had no problems! 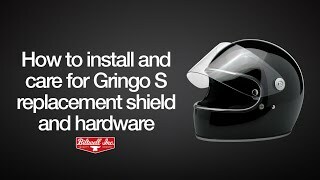 Like the Gringo this helmet fits perfectly I think they run a hair bigger so I went to a large after ordering an XL but that said it fits snug but is still comfortable and doesn't make me feel claustrophobic. I Use the S model when riding my XR1200 because I think its a little racier looking. Another note my bluetooth Smith audio chips fit perfectly and you won't even feel them. 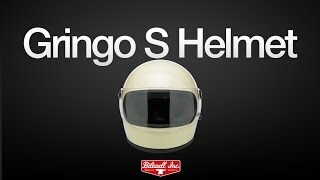 Great helmet. the visor is kinda crappy and doesn't seal all that great. my tab snapped off trying to latch it and the snap has too much "float" to catch easily. 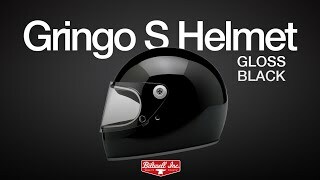 Biltwell Gringo S Gloss Black helmet is the one I reach for when I need good protection and is lightweight and goes with all my gear. Perfect size for a full face, doesn't make you look like a bobble head and feels very comfortable.